The dig command is used in network administration that check and lookup domain name server. 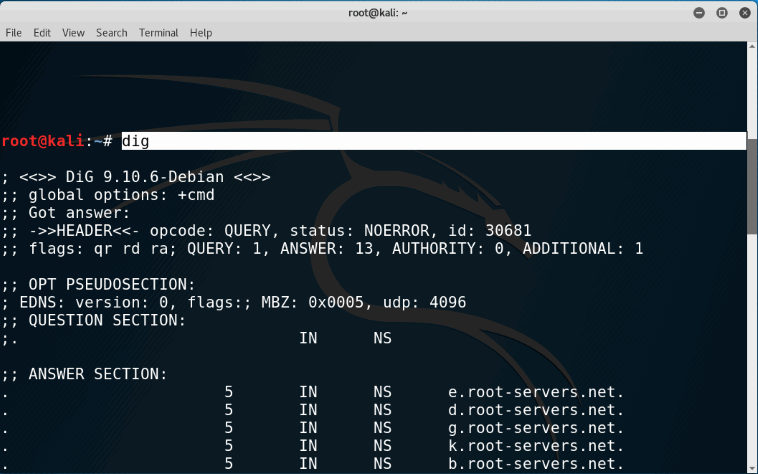 Dig ( Domain Information Groper ) is a tool in Kali Linux used to gather information about host addresses, mail exchange servers, name servers by sending query to the DNS Name server. This tool can be run by Linux or Mac OS. Simply this works with single domain name, to get the result of multiple domain you will have to run multiple queries. 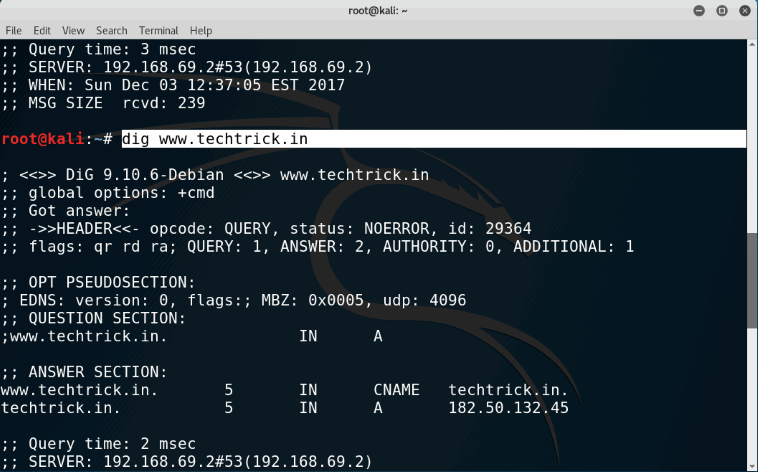 Step 1 : just type dig on the kali linux terminal. 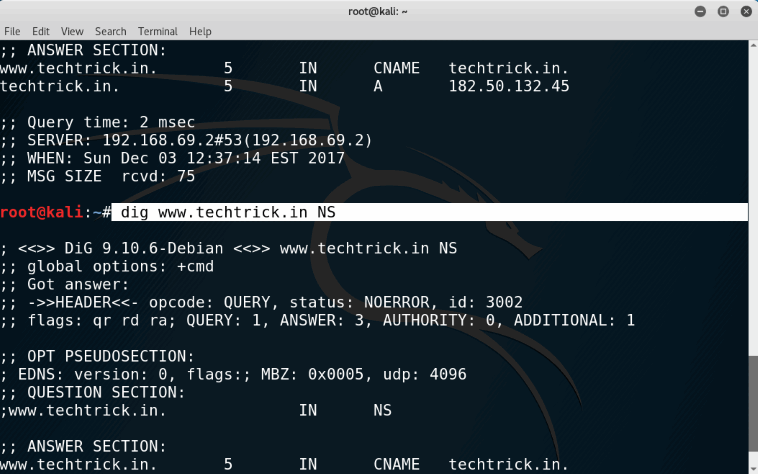 Step 2 : Then Enter you Target Website that you want to do Hacking Dns Lookup. Here I have used "techtrick.in" for demo purpose. Step 3 :To get the nameserver of the target website. from Lubbock Texas! Just wanted to say keep up the fantastic work!